In case you have been on a media fast for the past week, the big news in the little art world has been the heated controversy over the painting by Dana Schutz, shown in the current Whitney Biennial, called “Open Casket.” (If you are already heartily sick of this subject, after wave upon wave of angry rhetoric crashing over your screen, please surf on.) The painting is a semi-abstract depiction of the black teenager Emmett Till, savagely murdered and mutilated in 1955 by bigots enraged by his alleged whistling at a white woman — a fabrication, the supposed victim has now admitted. Till’s mother demanded that his coffin be open so that viewers could “see what I have seen,” in all its graphic glory. Schutz used the photo as a starting point for managing, in paint, her own emotions of fear and insecurity as a mother, she pointed out, in these nasty times of snapping and snarling. What could be more important than to educate complacent, ignorant Americans about this stain on our national history and honor? Alas, nothing is ever simple in the art world. 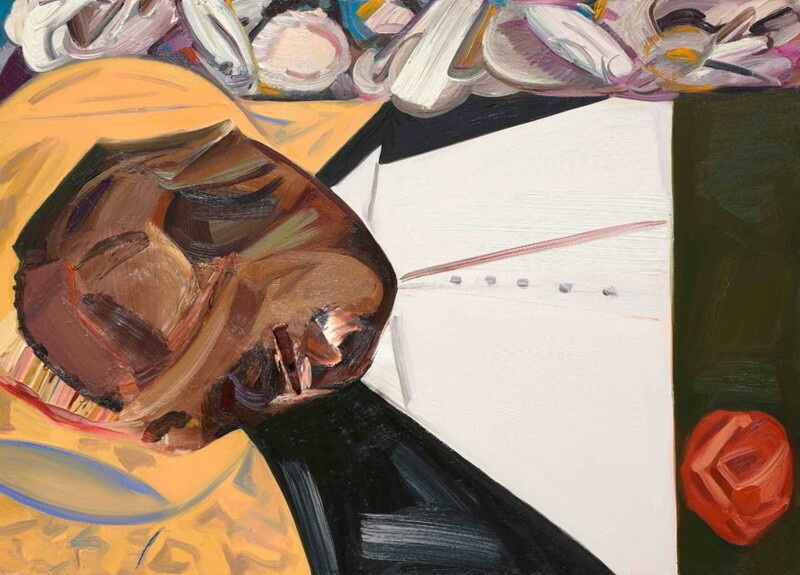 The painting aroused fierce opposition from the left, nicely described by Roberta Smith in her New York Times article, “Should Art That Angers Remain on View?” [https://www.nytimes.com/2017/03/27/arts/design/emmett-till-whitney-biennial-schutz.html] (March 27, 2017). Two black artists took extreme umbrage at what Smith wittily characterized as Schuz’s possibly “inappropriate appropriation.” Parker Bright stood in front of the painting, blocking the view to other museum goers, while wearing a T-shirt imprinted “Black Death Spectacle.” Hannah Black denounced Schuz’s exploitation of “black subject matter ... for profit and fun.” Many in my social media feed denounced the work as typical white hubris that, however sympathetic a veneer, perpetuates the idea of black victimhood. Also raised has been that in spite of its opting for abstraction rather than realism, the work somehow whitewashes the realities of black history through aesthetic distancing. Race relations in the U.S. are a mess. The interlude of liberal rationality that Obama hoped to inaugurate clearly failed, a victim to white working class economic rage exacerbated by eight years of right-wing animus, sensationalism and alternate facts. If no Alex Jones and Bill O’Reilly types failed to fan the flames of Schutzgate, it’s only because they were distracted by quips about a James Brown wig and the premature announcement of the end of Obamacare. But let us return to the artwork, which is successful on its own terms. Not as a political statement — an interpretation which the artist never claimed, yet one which its detractors opted to emphasize. Smith adduces, in defense of creative freedom of speech, several powerful art-historical precedents: Ben Shahn’s moving tribute to the unjustly executed Sacco and Vanzetti (despite the artist being Jewish and the victims Italian); Abel Meeropol’s song about race lynchings in the South, “Strange Fruit” (again by a Jewish person, and not just any, but one who adopted the orphaned sons of the executed Ethel and Julius Rosenberg); and the white William Styron’s brilliantly complex 1967 novel “The Confessions of Nat Turner," the less-than-exemplary or heroic leader of the 1831 black slave revolt in rural Virginia. One could cite many other examples of the depiction of inflicted suffering as noted by sympathetic cultural or racial outsiders: Delacroix’s "Massacre at Chios," about Turkish atrocities; Dorothea Lange’s "Migrant Mother," about the Depression tribulations of displaced Okies; or Matthias Grunewald’s "Isenheim Altarpiece," still shocking today, five centuries after its creation, with its painfully mortal King of the Jews. 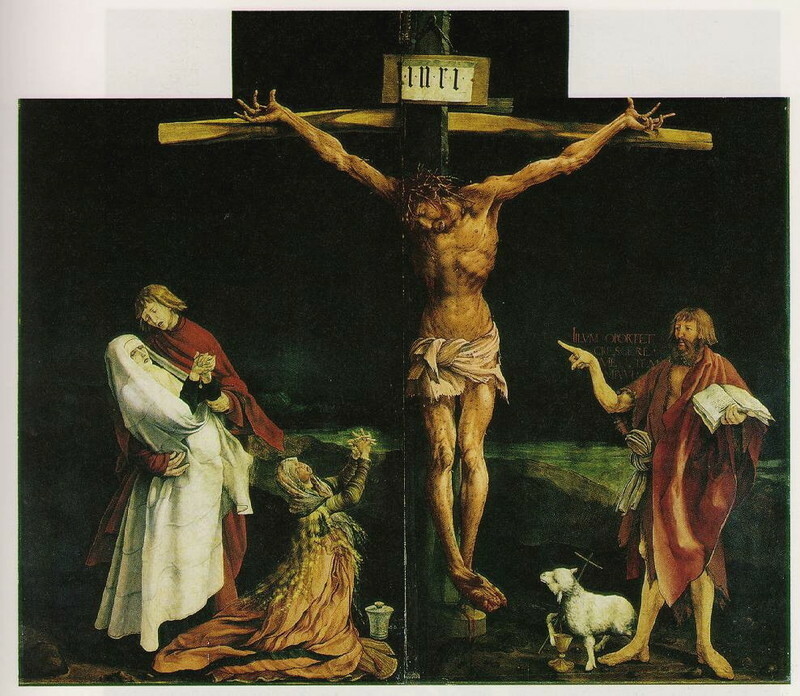 Any crucifixion painting, in fact, rebuts the racial exclusivity idea. Why so much furor from the art world left then? The painting is unobjectionable in itself — but for its provocative title. The black artist Henry Taylor, in the same Whitney show, depicted, with a greater degree of realism than Schutz employs, the police murder of Philando Castile, and aroused no animosity. It is my belief that certain ideas that were almost universally taught in universities in the 1980s and 90s — identity art, postmodern relativism — have hardened into dogma, and can become exaggerated and counter-productive. Making, seeing and ‘using’ art primarily or solely as tendenzkunst, as propaganda, as the hypostatization or reification of sacred truths, is bad for the country and bad for art. Let creative people make their work, and let a thousand exegetical flowers bloom. ; but let’s not become cultural commissars. Artists and citizens should be truth-seekers, not avoiders of trigger issues. We have serious challenges; one painting in one biennial — and it’s not as if all blacks are furious about it, as some imply — is a molehill, if that. Let’s keep our eyes on the prize, not minor distractions.